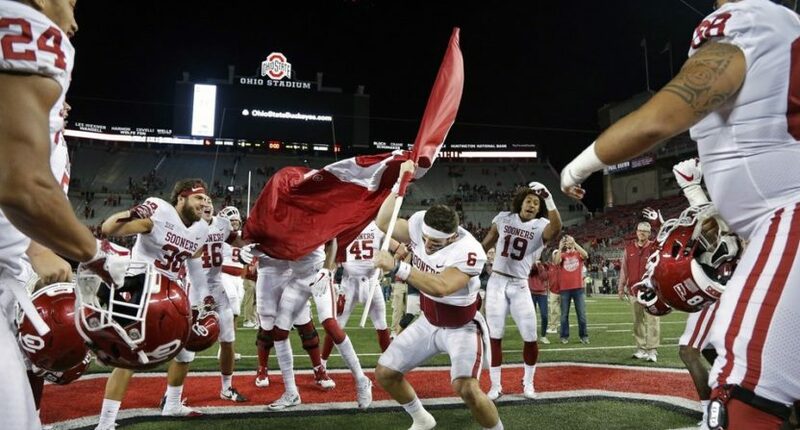 (SP) – Three days after planting the flag of Oklahoma onto the turf at Ohio Stadium in Columbus, the capital of Ohio, Baker Mayfield’s regime is reportedly having trouble effectively governing the midwestern state. The 22-year old conqueror reportedly returned to Oklahoma immediately after taking Ohio, leaving the land in chaos. Days later, the citizens of Ohio say they are unsure of what the future for them, and their homeland, holds. According to reports, with a Mayfield void in place in Ohio, a raid from the north led by John Harbaugh of Michigan is being organized. Defeated Ohio general Urban Meyer says he will organize a football militia to fight off Harbaugh if need be.